. : February 19, 2018 :. 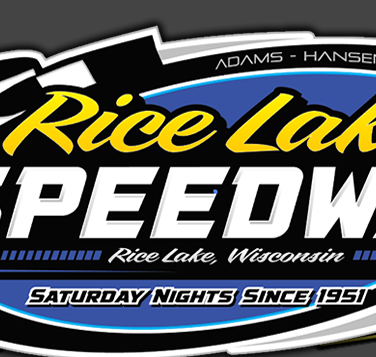 Rice Lake WI, Feb. 17 – Approximately two hundred race drivers, track officials, race crews, families and fans gathered Saturday night, February 17th as Adams-Hansen Inc, the owners of the Rice Lake Speedway, held their annual Awards Banquet at the Rice Lake Elks Club. The top ten drivers in points in each of the track's five divisions, along with the Rookie of the Year in each class were honored with plaques and trophies along with a couple of special awards that were also handed out. After the meal Dave Adams, co-owner of the speedway, took to the microphone. He informed those in attendance on the tentative schedule for the track for the 2018 racing season. Two new events for the speedway were among the announced highlights for the upcoming racing season. 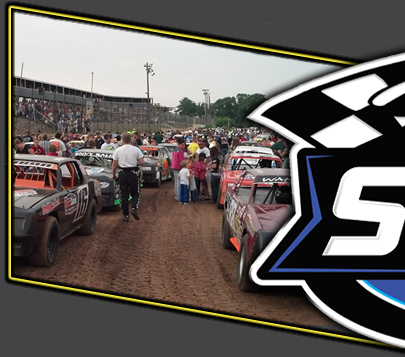 Building on the huge success of the Shaw Trucking WISSOTA Late Model Challenge Series event annually held at the track in late July, the track will host a second Late Model special tentatively scheduled for May 12th. The Modifieds will also get a special event with the first ever appearance of the Advantage RV Modified Tour at the Rice Lake Speedway. This traveling series, headed by Watertown South Dakota's Rueben Meyer, has raced at a number of tracks throughout the WISSOTA region and they will make their first appearance at Rice Lake on Wednesday night, June 6th as a part of the local Aquafest celebration. Local drivers will be defending their track turf against many of the best Modified drivers from throughout the WISSOTA region. 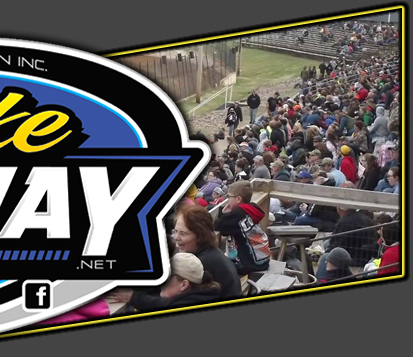 Other highlights of the schedule include include the Cedar Mall Car Show on April 5-8, opening night on April 14th, the UMSS Winged and Traditional Sprint Cars on May 26th, the Kyle Runkle Memorial Race on June 23rd, the Firecracker special on July 3rd, the Shaw Trucking Challenge Series Late Model race on July 28th, the twenty fourth annual Street Stock Little Dream race on July 31st, Season Championship night on August 18th and the season ending Labor Day special on September 1-2. Adams then presented the “Thanks a Lot” award which annually goes to an individual or individuals that have helped out the race track by their service for the betterment of the track. This year the winners were Crystal Fankhauser, Keytun Viltz and Megan Adams who are in charge of the Kid's Club, the Kid's night and bike giveaways among other volunteer efforts they spear head at the track. Ed Reichert then gave a brief summary of the 2017 racing season at the track and updated those present on the all time feature win totals at the track along with updated statistics from the Street Stock Little Dream. Highlights include the fact that there were forty three different drivers that won feature races at the track in 2017, ninety seven drivers that won heat races and a total of three hundred and seventy eight different drivers raced at the track in 2017. The average car count was eighty five cars in the five classes. The all time leaders in feature wins at the track are Jason Havel in the Pure Stocks, Scott Clark in the Street Stocks, Shane Halopka in the Mid Mods, Don Drew in the Super Stocks and Kevin Adams in the Modifieds. There have now been fifteen different winners of the Little Dream with Eric Olson being the only three time winner. A total of four hundred and twenty four different drivers have entered at least one Little Dream and the winners top prize has escalated from $780 to win in 1995 to $15,400 in 2017. Track announcer and the evening's Master of Ceremonies Ben Brost then took over the proceedings. He introduced the top ten in points in each of the five classes, interview a number of the drivers and also introduced the Rookie of the Year in each class. Leading the way in the Pure Stocks was Dustin Doughty from Oakdale MN. He was trailed by Tucker Quinn from Ladysmith, Bob Thompson from Cameron, Jimmy Holden from Rice Lake, Rob Grabon from Bruce, Jason Havel from Rice Lake, Zach Beaulieu from Chetek, Mike Pratt from Bloomer, James Clausen from Barron and Wayne Braun Jr. from Rice Lake. The Rookie of the Year was Stefan Hogue from Altoona. Topping the Street Stocks was Hunter VanGilder from Rice Lake. He was followed by Jay Kesan from Weyerhaeuser, Kevin Bogdanovic from Wausau, Kirk Bogdanovic from Phillips, Don Cook from Barron, Kolby Kiehl from Barron, Josh Bach from Barron, Andy Cimfl from Rice Lake, Parker Anderson from Phillips and Shawn Amundson from Rice Lake. Bach was the Rookie of the Year. Earning yet another Midwest Modified title was Shane Halopka from Greenwood, He was chased by Joe Chaplin Jr. from Cameron, Travis Anderson from Colfax, Denny Cutsforth from Rice Lake, Austin Ellis from Rice Lake, Reid Tiegs from Dalls, Fran Hanson from Almena, Alex Smith from Solon Springs, Calvin Iverson from Eleva and Grant Southworth from Bloomer. Iverson was the Rookie of the Year as well as being WISSOTA National Rookie of the Year in the MidMods. The top driver in the Super Stocks was Eric Olson from Ladysmith. Trailing him were Jim Cimfl from Turtle Lake, Cooper Berlin from Rice Lake, Don Cimfl Jr. from Rice Lake, Adam Soltis from Ladysmith, Steve Davidson from Richland Center, Nick Traynor from Barron, Kyle Helling from Rice Lake, Mike Siewert from Cameron and Nick Oreskovich from Mason. Berlin was the Rookie of the Year. The Modified point champion was Kevin Adams from Cameron. Next in line were Mike Anderson from Colfax, Steve Hallquist from Eau Claire, Pat Hoffman from Rice Lake, Dave Mayala from Barron, Ryan Viltz from Chetek, Mark Hessler from Menomonie, Dave Baxter from Eau Claire, Wayne Poteet from Spooner and Gary Baxter from Eau Claire. Viltz was the Rookie of the Year. A highlight of the evening was the appearance of former Pure Stock track champion Jason Havel. Havel has been battling cancer since late last summer and has undergone both surgeries and chemo treatments since the end of the racing season but he was able to be on hand for the banquet and he drew a standing ovation from the crowd when he picked up his sixth place point award. A large number of door prizes were then given away to the crowd and the evening was finished off with much “bench racing” and fellowship.